Saint Catherine was born in Italy to a noble family. She became a companion to a princess at a young age and received a very fine education in all of the arts. 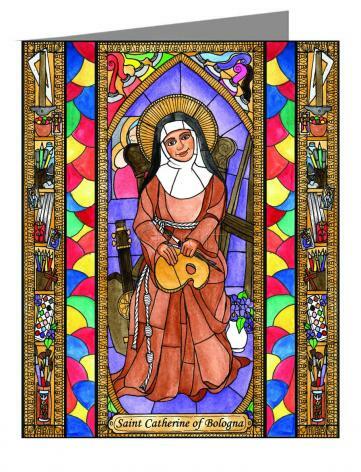 When the princess was married, Catherine became an Augustinian nun and later joined the Poor Clare nuns. Catherine became so close to Jesus, that she was inspired with a permanent joy that couldn't be soured no matter what. Her joy spilled out in any artistic project she undertook. 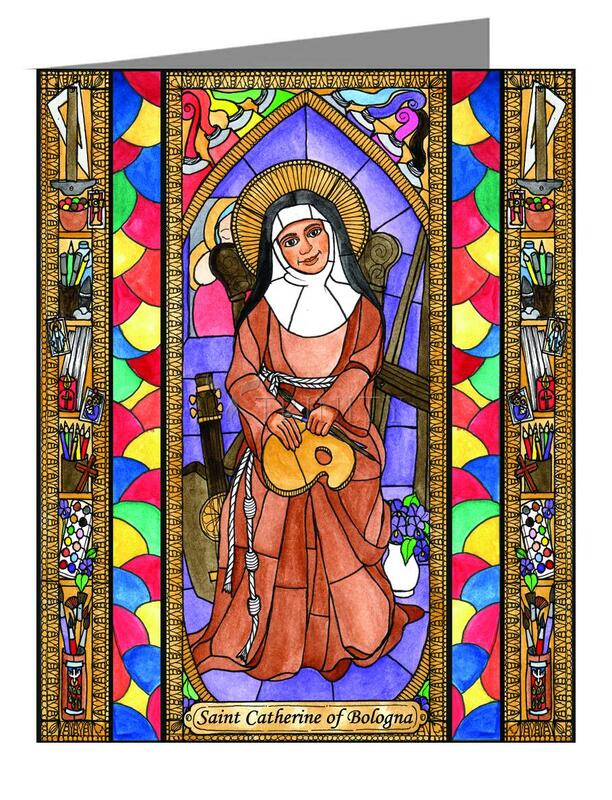 She wrote books and poetry, played the viola, illuminated manuscripts, and of course, painted.